recommended for: People who love The Witch of Blackbird Pond or other historical books with a hint of romance. will i read this author again? : Maybe. The premise of Salt & Storm sounded a little too romantic for my taste, but I'm glad I gave it a chance. 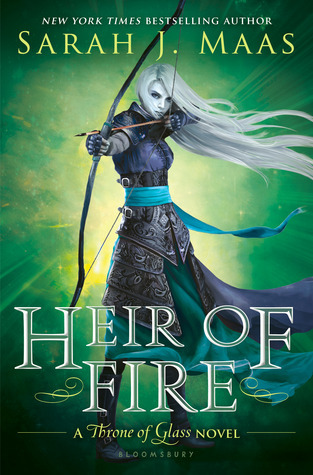 This book shines with a unique magic system, spirited main character, and obviously well-researched historical background. Meet Avery. She's longed all her life to become a witch, one of many in her lineage, but the return of her wayward mother means imprisonment: no witchcraft, no contact with her grandmother. A "normal" life. The premise sets up a mystery--why does Avery's mother fear witchcraft so much?--that sets an unexpected tragedy in motion. With a few hitches, the plot is exciting and twists in unusual ways. Avery is feisty and endearing, but the same recklessness that sparks her adventure also precipitates true heartache. Her relationship with Tane becomes a bit too strong, but avoids insta-love nicely. Finally, the ending is a shocking deviation from cliche that amped up this book in my regard. 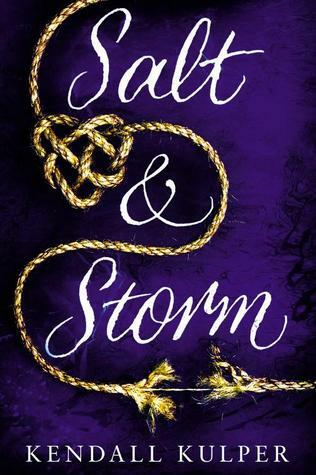 While I don't expect it to stick with me forever, Salt & Storm was an enjoyable read that will appeal to fans of romantic fantasy looking for something fresh. At it's essential level, the plot has all the makings of an exciting, twisty story. The Roe witches have been essential to the survival of Prince Island, a whaling town, for centuries. Now the whaling industry is flagging, the current Roe witch is withering, and the future Roe witch is trapped by her magic-hating mother. This catastrophe becomes a true race against the clock when Avery, gifted with prophetic dreams, foretells her own murder. Her only hope for salvation is the legend that a Roe witch cannot be killed--so to save herself, she must become the Roe witch. But to do that, she must break her mother's spell trapping her in a life of petticoats and petit fours. Enter Tane, a boy bent on avenging his murdered people, who possesses a magic that just might be able to rival Avery's curse. That already pulled me into the story. Then the complications begin. There's first love, there's death, and there's the brewing unrest between the people of Prince Island and the witches that culminates in a startling conclusion. Shot through the good, exciting parts were what felt to me like cop outs. Why didn't Avery's mother or grandmother just tell her what it took to become a witch? Why did Avery's encounter with her grandmother go that way? Why didn't her grandmother bind her as a child? These all seem thin reasons to achieve the plot Kulper wanted. It's not the most tightly crafted tale, but ignoring these weak points, it's an enjoyable read. I love the whole idea of this book. A line of witches tied to an island, using their magic for the good of the people. An unknown curse. Magic built from pain, rope, seawater, and wind. It's a very old school nature kind of magic that fits in well with the old American setting. It's the kind of magic you'd expect to see done by Cherokee shaman or Irish druids. Then there's Tane's magic, South Pacific island magic accomplished with arcane tattooed symbols. It's believable while still being fantastical. I also loved the setting in whaling culture. Kulper obviously did her research. Her description of the whaling town and whaling life feels utterly authentic. I only wish that she'd given Avery less modern sensitivities about whaling. Avery wishes that her magic wouldn't go towards killing animals, but she also recognizes that whaling is the sole livelihood of her islanders. I just want characters to feel consistent with their times. Avery is pretty endearing from the start. She's reckless and a little snotty, but it's obvious she's hurting. She's been taken away from her grandmother and her birthright to live with her mother and be forced into a genteel life she never wanted. She has a temper, but shows compassion too. Tane seemed thinner. I enjoyed him enough to enjoy the story, but I wanted more from him. He's kind, tortured, and determined; so much of his characterization hinged on his wish to avenge his family. Only he felt a little underdone. Like a cutout of a sweet, loving person instead of a person. Similarly, Avery's grandmother and mother are relatively enigmatic until later on. However, I'll grant Kulper that, since we know them only as Avery sees them and so they're types to us until Avery learns their twists and turns. The rest of the cast served its purpose but wasn't really notable. I wanted a little more of the townspeople, since they were so important to Avery's decisions. Kulper has an easy, pretty style that translates well to a historical fantasy. Her prose has a pretty quality to it. I didn't gush over it, but I found myself suitably drawn in by her language. What lacked was a clear sense of historical-ness. I would have liked to see more period-specific language and conventions. Kulper's style was tight and poetic in the right places, quick in the right places, but it didn't feel firmly fixed into its time period. Overall, the pacing of the book wanes and waxes. I didn't find myself enthralled right away. The first part is a little languid and doesn't swoop into the main plot for a bit of time. I also had issues with the pacing of the romance. The initial slow burn is actually well done. Avery and Tane begin as business partners and fall for each other by inches, quite believably. Yet, they're soon "in love" and talking about marriage and forever and making broad, melodramatic declarations that garnered a few eye rolls. A pretty period fantasy with a feisty main character, beautiful system of magic, and twisty, unexpected plot. Nice to see a positve review for this one ^^ It was one of my most hotly anticipated releases and reading this makes me even more excited to dig in (soon)! Witches were a huge draw for me with this one but the setting sounds unique which is definitely a huge plus too! I've heard similar things about the pacing being a bit off as you mentionned so at least I'll be prepared going in. Glad you enjoyed this one overall and thanks for the lovely review! It wasn't one of my favorites but I definitely enjoyed it and was excited to read more. I hope you enjoy it! The witchcraft and setting were definitely the biggest plusses. Very cool.